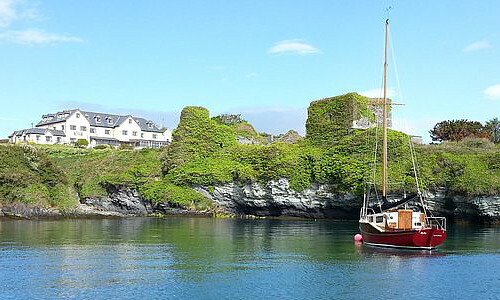 Baltimore harbour is bounded in the west by the island of Sherkin, or Inis Arcáin. The island is just three miles long, one mile wide and has a unique beauty and variety of landscape, at the same time both tranquil and breathtaking. 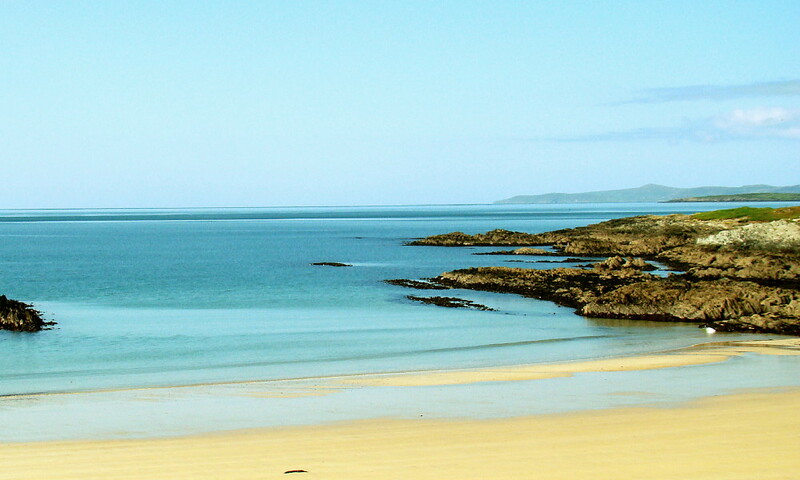 There is a choice of sandy beaches — Trabawn, Cow Strand and, the largest, Silver Strand. All are safe for bathing and ideal for children. Alternatively, take a stroll along quiet leafy lanes, explore the old lighthouse or the ruined Franciscan friary, commonly known as the 'Abbey'. Dating from 1460, the Abbey was sacked in 1537 by angry seafarers from Waterford in retaliation for the seizure and speedy consumption of 100 tons of their wine by the local O'Driscoll clan. Dún na Long (fort of the ships) is the ruined O'Driscoll castle just north of the pier, a good spot to appreciate the beauty of Baltimore Harbour. There is accommodation on the island and meals can be enjoyed at both the local pubs. Here, as evening descends, you can try a taste of Sherkin's legendary nightlife with formal or informal music sessions during the summer months. Sherkin with its relaxed atmosphere is a favourite retreat for many of Ireland's best known musicians escaping the rigours of the mainland circuit. Local crafts, including knitwear, silverwork, jewellery, wrought iron, candlesticks and decorative silk scarves, are on sale at the Island Craft and Information Shop near Baltimore pier. There is a regular ferry service between Baltimore and Sherkin. The journey takes only a few minutes.